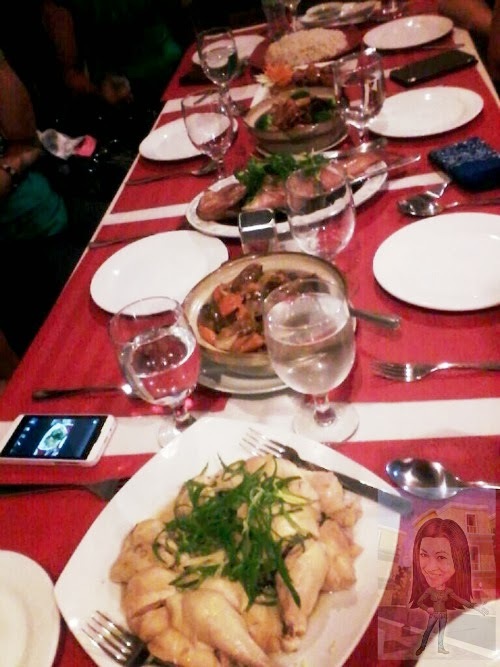 Went for a dinner last weekend with my Ateneo Dance Troupe at IZUBO RESTAURANT located at Matina, Davao City. 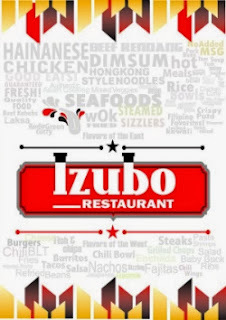 As can be gleaned from its name, IZUBO a play word that comes from a Tagalog term "Isubo" which means TO EAT or TO FEED. 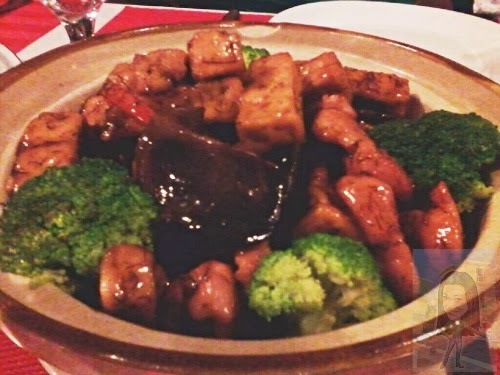 It is a combination of east and west cuisine. A very, very worthy replacement to an everyday routine for our food spotting experience here in Davao City. 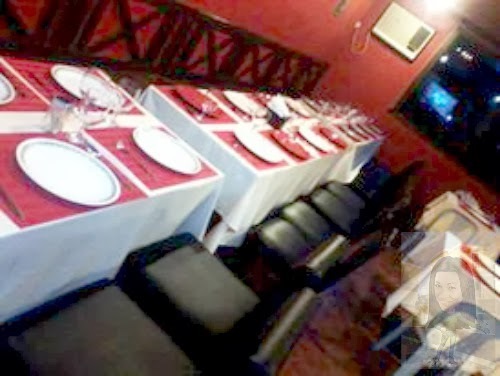 Izubo is a restaurant with different level of ambiance in terms of serving food to their guests. The space is very spacious and very clean with a brightly lit dining room. The suggestion here, to install a mirror in their restroom. And to put a big signage outside the location since the place is new and the restaurant is in the interior area of the unfinished building. We are greeted by their staffs and we are promptly seated and given menus. It was nice because my batch mate from Assumption Chris Vasquez(the owner) whose parents are there to stop by frequently to check in on us. They are very engaging and came over to explain some of the intricacies of ordering, since I've made the reservation and this is my second visit to their place I know already what to order but still my other colleagues need to understand clearly as a first timer the food listed on their menus. I really appreciate restaurant owners to go extra mile helping their first-timer customers. Because I've already made my order, the food is ready to serve. When the food came, we are all pretty shocked of their food presentation. The waitress was very polite and accommodating in answering some of our queries. While Chris mother told us also not to worry about doing anything apart from eating. And eat we did! The winning recipe that satisfies us all is the Hainanese Chicken Rice! The chicken was extremely tender and the rice was very tasty. 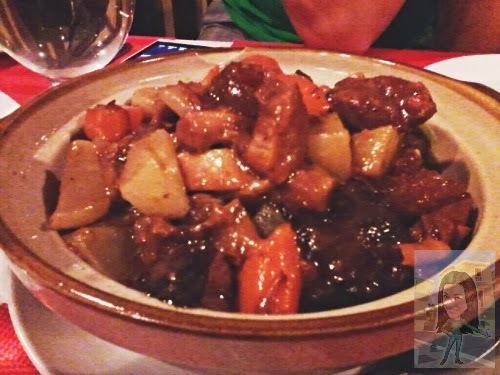 The second is their mouthwatering Sweet & Sour Pork prepared with a special ingredient. But over all we really enjoy our meal here. And we really appreciate the fact that this restaurant is giving us, they don't use MSG(Monosodium Glutamate)in their dishes. Love everything Chris suggested for our menu that night and will be back to try some of their ALA CARTE dishes. IZUBO RESTAURANT is for people that enjoy food and want to taste dishes that is uniquely cooked to perfection, not for bingers that love a good deal. 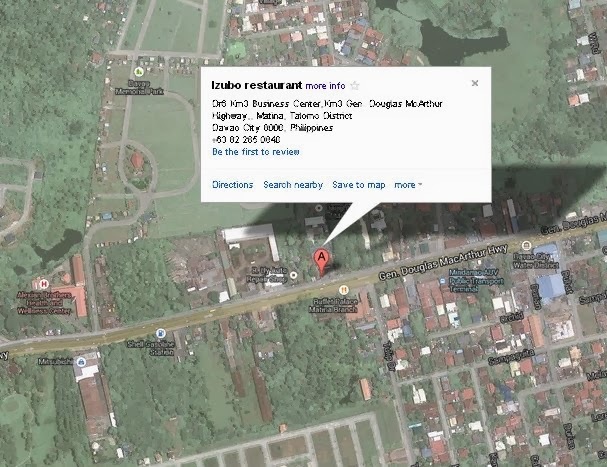 For quality, quantity and exceptional service this is the place to go. 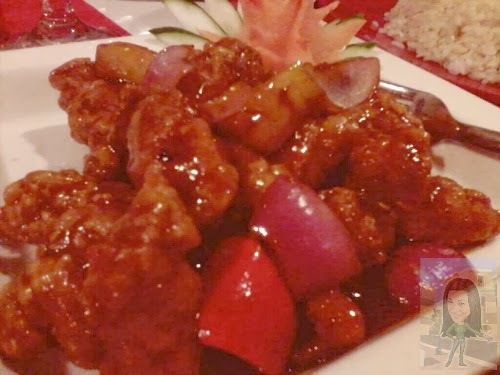 It's a bit on a pricey side when compared to other restaurant but it's a very decent food and the price is just right. They also serve SATURDAY BUFFET for only PHp295. Wow, makes me want to try the Pork with Braised Tofu. I hope I could come to Davao this coming Araw ng Dabaw soon! Noted this for a place to eat there! This is what I love about Davao food is affordable and so good to!! 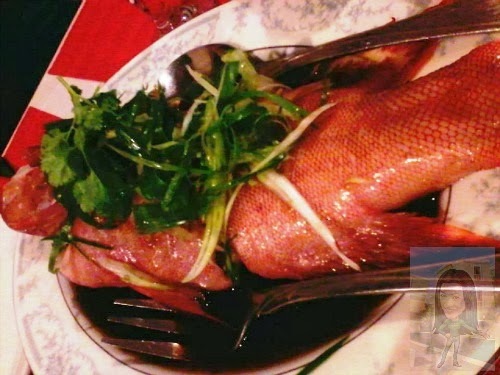 The Hainanese Chicken looks so yummy. Hey Pal this is wonderful! 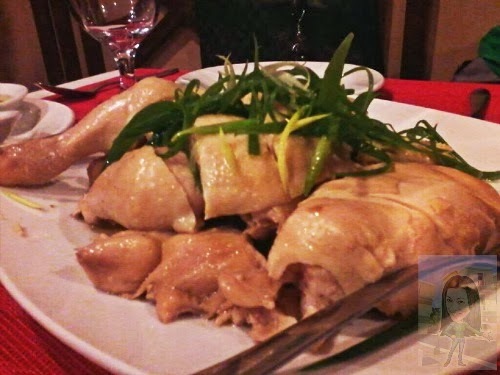 If I miss Hainanese Chicken when I'm in Davao, I'll definitely visit Izubo restaurant. Wow! I am getting hungrier. I kinda regret visiting food posts at this hour. The Hainanese Chicken is my favorite! 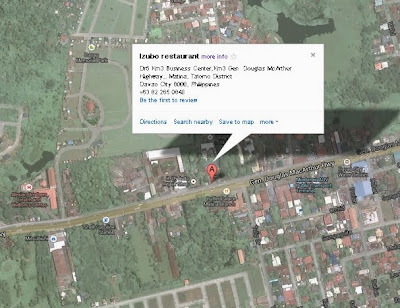 I'll keep this place in mind when/if ever I visit Davao. The price isn't bad too. Loved to cook this Hainanese Chicken with my own recipe. The restaurant really has to give attention in marketing the place. Good review! It's great that they are not using MSG so we can consider their dishes as healthy stuff yet delicious. More restaurants should practice this cooking. At once I thought this is a Japanese restaurant because the name sounds like Japanese. 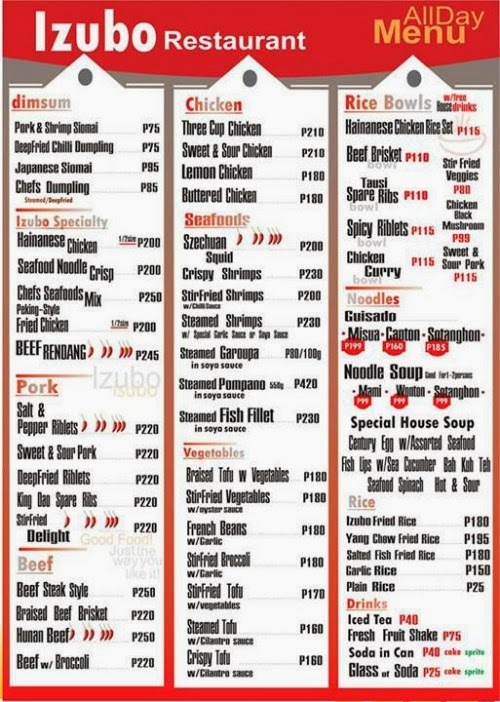 Nevertheless, the name sounds catchy and maybe a good addition to Davao's finest resto.